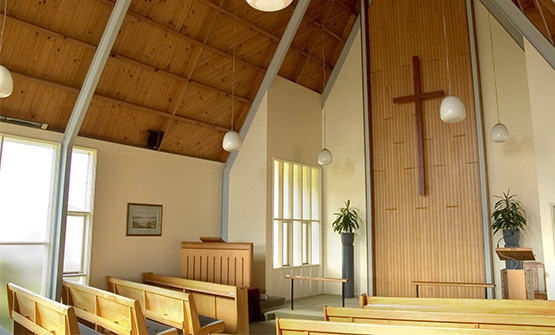 Although we do not like to think about it much – the day will come when we will need the services of a Funeral Director.We probably all hope that this day will be later rather than sooner, and that our family will know what to do when it comes to organising the funeral. The funeral director’s most important role is to make all the relevant arrangements prior to conducting the funeral on the day. Our funeral director works with the minister or celebrant to ensure that any of the family’s special requests (e.g. regarding music, flowers, photos, candles) have been met by the time of the funeral service. Before starting his own business Simon managed E. Morris Junior funeral directors in Kent Terrace, Wellington. When the owners of E. Morris Junior merged with another funeral home, he felt that it was time to do his own thing. 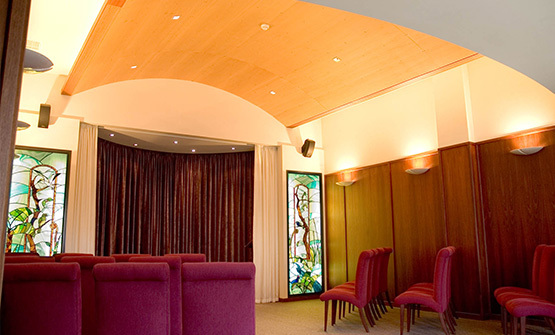 Harbour City Funeral Home quickly became known for thinking outside the square, providing service based on what the client wanted rather than what tradition dictated. We are proud to be one of the most innovative funeral companies in New Zealand. 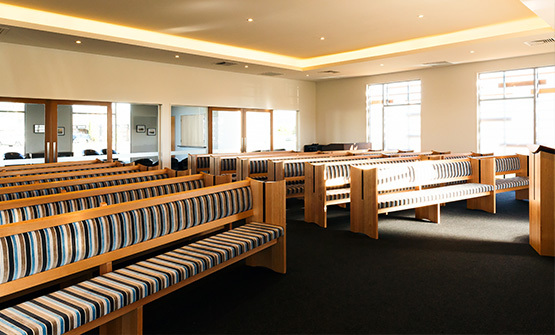 Since its inception Harbour City Funeral Home has worked to demystify funerals and place as much information as possible into the public arena to ensure the public can make informed choices. This approach puts the power and control of funerals in the hands of the families that we serve. 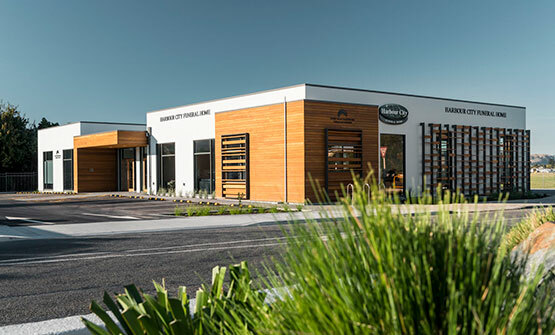 The demystifying process took a major step forward when Harbour City Funeral Home became New Zealand’s first funeral home to hold Open Days. On an Open Day members of the public are invited to come in and look behind the closed doors, and ask any questions about death and funerals that they want to. It is another way of assuring the public that when you are dealing with Harbour City Funeral Home, you are dealing with a company that is happy to explain what it does and that puts the people it serves first. 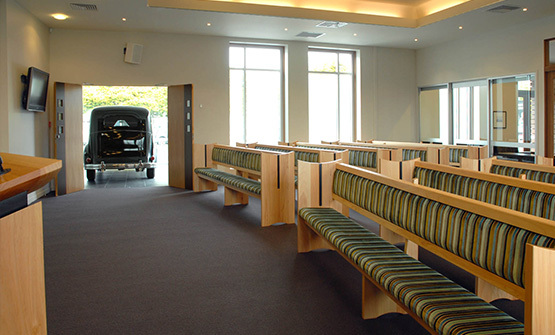 Harbour City Funeral Home seminars are well known in the community. No subjects are taboo. Many difficult topics – including the cost of funerals, eco funerals, and embalming – have been the focus of seminars in the past. We are committed to continuing to conduct such seminars as part of our education programme. Another innovation for which Harbour City Funeral Home was responsible is the re-introduction of Saturday funerals to Wellington. This measure has broadened the choice for families as to when to hold the funeral. The ownership structure of this company is innovative too. 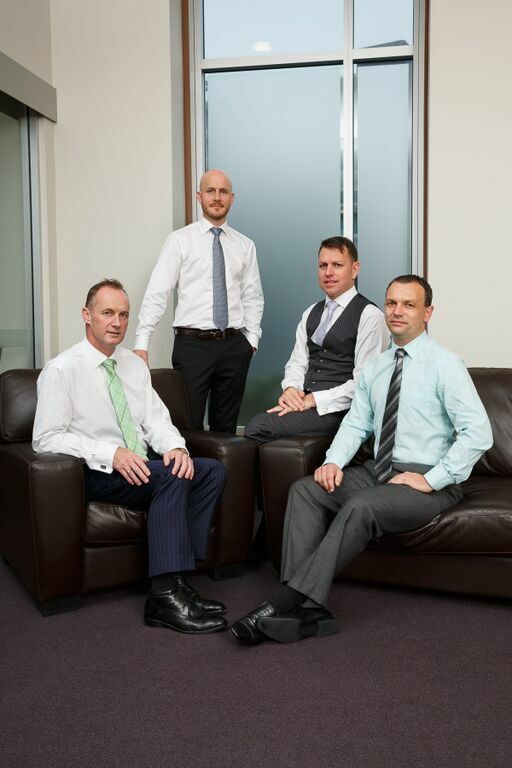 The shareholders are four of the staff: Simon, Danny, Brad and Geoff all work in the business, thus ensuring you have the best possible service when you need it. A truly locally owned funeral home. Harbour City Funeral Home has entered into a partnership with Plimmerton Rotary and the Porirua City Council to offer sponsorship for the Te Ara Piko Pathway Project over the next 10 years totalling $50,000.00. This forms part of the commitment we have to caring for our environment and partnering with organisations that have a heart like we do. The Te Ara Piko is a project of Plimmerton Rotary and involves installing a pathway around the Pauatahanui Inlet. The pathway will allow all of us to walk, cycle and witness the beauty of nature and the inlet which is such an important part of the area we live. This Pauatahanui Inlet improvement programme sources plants from local suppliers with, in many instances, the plants being grown in the purpose built restoration nursery operated by Plimmerton Rotary. This project is more than creating a pathway, it is also about removing pests that have an impact on wildlife in the area, and also includes a planting programme to ensure that nature has every opportunity to grow and flourish for our future generations. Harbour City Funeral Home has also entered into a partnership with Ngā Manu Reserve in Kāpiti to offer sponsorship for conservation efforts of the reserve. Our commitment to Ngā Manu is expected to extend to 2029 with donations in excess of $50,000. Ngā Manu covers approximately 14 hectares and adjoins similar sized blocks that are comprised of Kāpiti Coast District Council reserve, QE2 Covenant, farmland and some private bush. Education and research are a major part of the trust activities along with involvement in native species recovery programmes. Ngā Manu Nature Reserve has become a sanctuary for up to 60 different bird species, many free to come and go as they please. Ngā Manu plays an important role in wildlife breeding programmes, research and education. The Trust works alongside DOC and the SPCA to provide recovery care for injured native birds. For us it is important to connect and support programs that not only protect our environment, but also educate the next generation about the importance of how their actions can impact on the future of our beautiful country.